Winner of the 2009 Feminist & Women's Studies Association (UK & Ireland) Book Award! Many women find mothering a shocking experience in terms of the extremity of feelings it provokes, and the profound changes it seems to prompt in identity, relationship and sense of self. However, although motherhood can catapult us into a state of internal disarray, it can also provide us with a unique chance to make ourselves anew. How then do we understand this radical potential for transformation within maternal experience? In Maternal Encounters, Lisa Baraitser takes up this question through the analysis of a series of maternal anecdotes, charting key destabilizing moments in the life of just one mother, and using these to discuss many questions that have remained resistant to theoretical analysis – the possibility for a specific feminine-maternal subjectivity, relationality and reciprocity, ethics and otherness. Working across contemporary philosophies of feminist ethics, as well as psychoanalysis and social theory, the maternal subject, in Baraitser’s account, becomes an emblematic and enigmatic formation of a subjectivity ‘called into being’ through a relation to another she comes to name and claim as her child. As she navigates through the peculiarity of maternal experience, Baraitser takes us on a journey in which ‘the mother’ emerges in the most unlikely, precarious and unstable of places as a subject of alterity, transformation, interruption, heightened sentience, viscosity, encumberment and love. 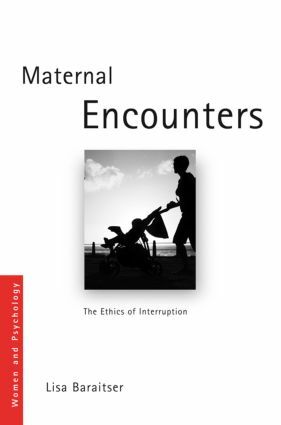 This book presents a major new theory of maternal subjectivity, and an innovative and accessible way into our understanding of contemporary motherhood. As such, it will be of interest to students of family studies, gender studies, psychoanalysis, critical psychology and feminist philosophy as well as counselling and psychotherapy. MATERNAL TRANSFORMATIONS: OI MOTHER, KEEP YE’ HAIR ON!